Enjoy this film and share it with others! HOME USE: from our US Home-use distributor. 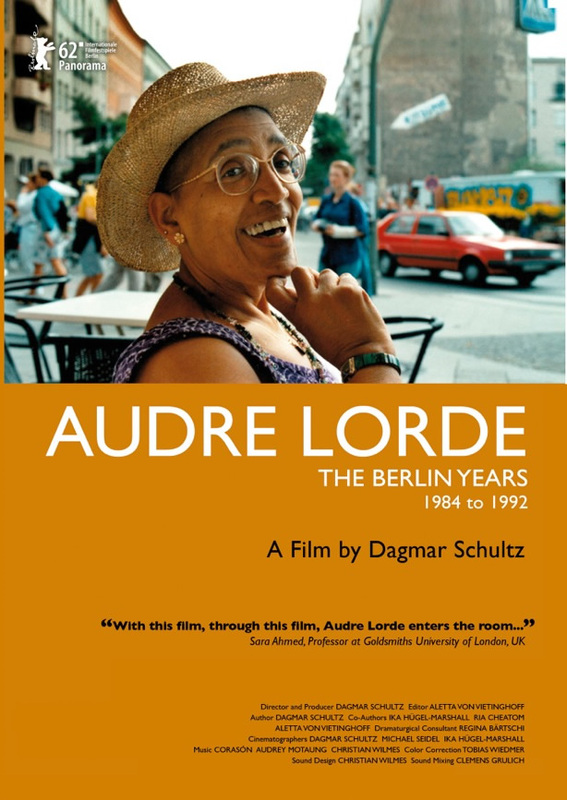 The DVD has over 70 minutes of extra material, including Audre reading her poetry and reflecting on her work, meeting with South African author and activist Ellen Kuzwayo, an interview with Dagmar Schultz, a music clip by Corasón, whose music is in the film, and many more scenes of Audre Lorde in Berlin. The film has subtitles in German, French and Spanish! PRIVATE GROUPS USA (clubs, local cinemas, etc.) a screening contract can be downloaded from here and multiple copies can be purchased (in the US) from DRAGA design. INSTITUTIONS USA: (schools & libraries) Contact Third World Newsreel for educational pricing in the US marketplace. EUROPEAN INSTITUTIONAL/screening requests should be sent directly to the director, at dagmar@dagmarschultz.com. NB: The case of the German DVD has a cover in German, but the DVD itself is in English (plus German, French, Spanish subtitles). Help with publicizing the film: announce it to your friends and colleagues, on list serves and FaceBook, ask your libraries to purchase the film. And If you have any suggestions about distributing the film to other venues, please get in touch and let us know.